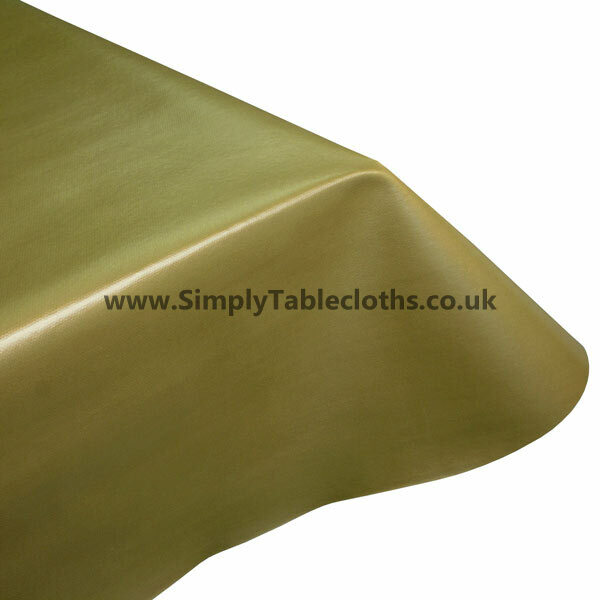 Dazzle your company with this gold metallic vinyl tablecloth. If you’re looking for a little shine, this is it. The gold colour will complement your décor while adding a touch of elegance and fun. This is surely not a boring tablecloth! The surface is easily wiped clean to keep it sparking for years.